It’s Halloween season! 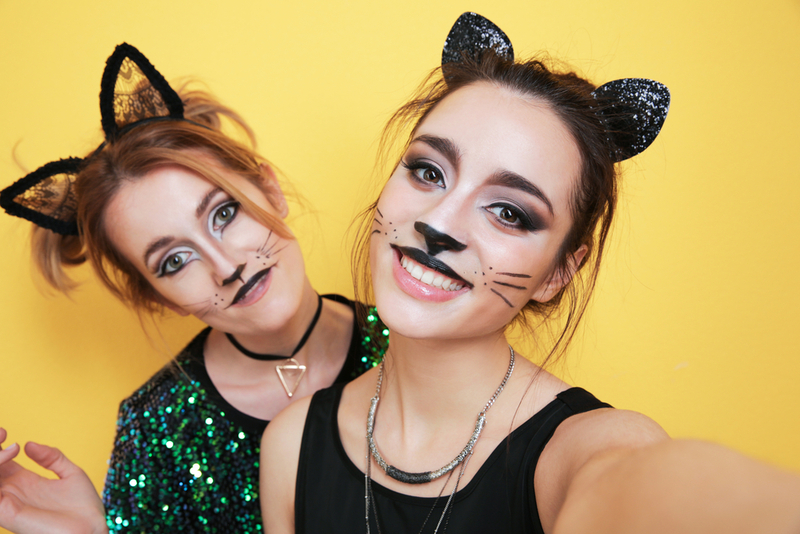 Buckle up for some tips and tricks for when you want to go to all those fun and festive costume parties but haven’t had the time to shop or DIY an elaborate costume. 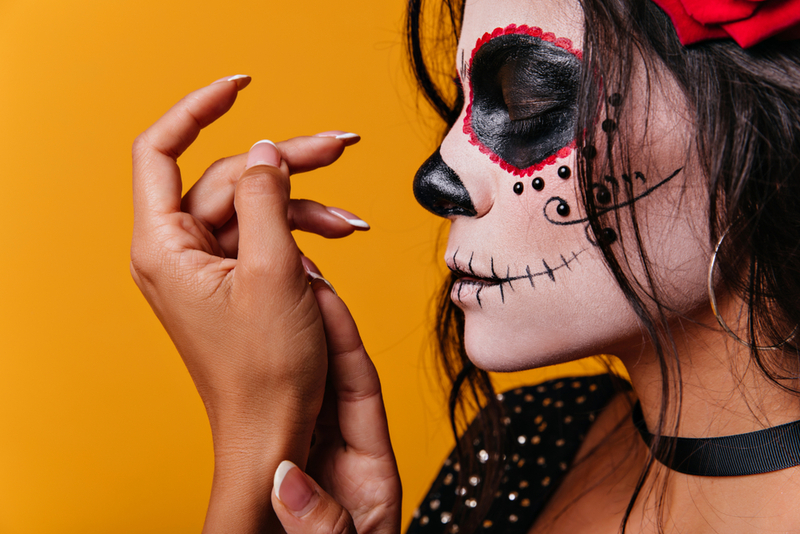 We’ve got you covered with the quickest way to add some spectacular spook to your looks – MAKEUP! It doesn’t get any simpler. 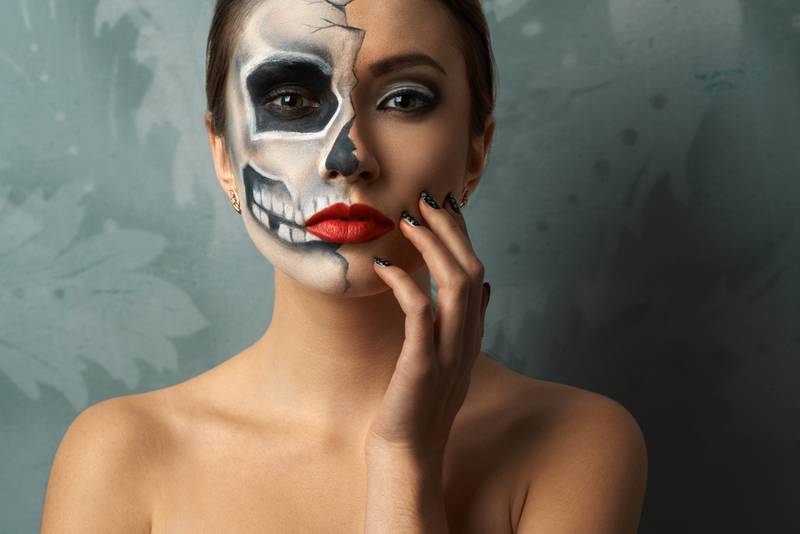 Try this half skull makeup look for a quick boost to an otherwise ordinary outfit. This is makeup look can be paired with anything from bleached jeans and hoodie (adds to the mystery!) to a long dress and you’ll still stand out at an event. Tear up an old t-shirt, frazzle your hair and paint your skin really pale – voila! You are now part of the walking dead. This has to be undoubtedly one of the easiest looks to pull off. Pair it with some black leather pants to give it a more Catwoman feel. The Cheshire Cat from Alice in Wonderland is the perfect showcase of creativity and skill. This is the creepy stuff nightmares are made of. 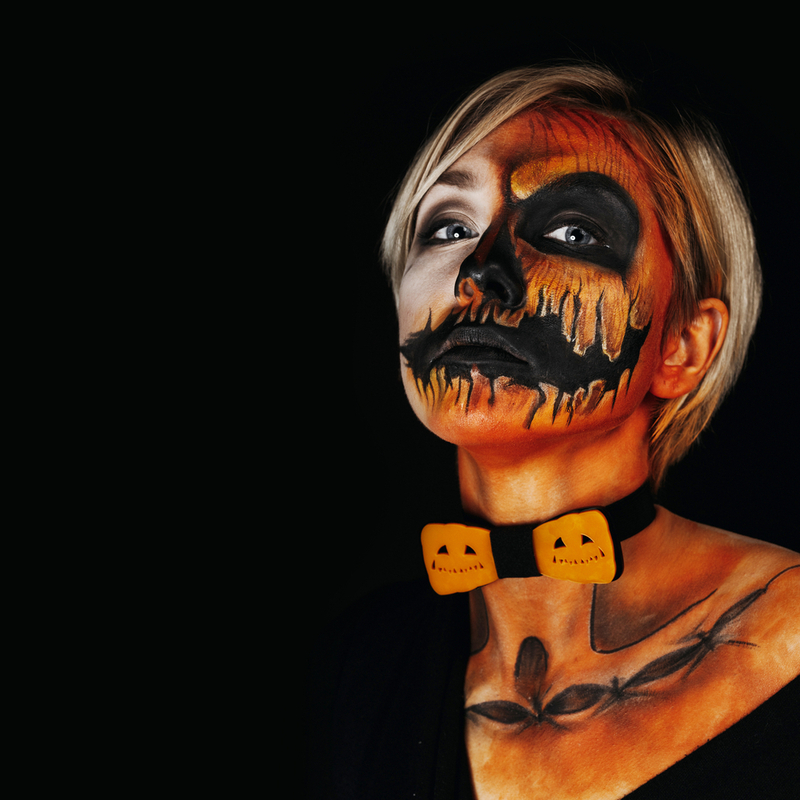 Jack-o-lantern is at the heart of Halloween and there is no way you can go wrong with a splash of orange this season. 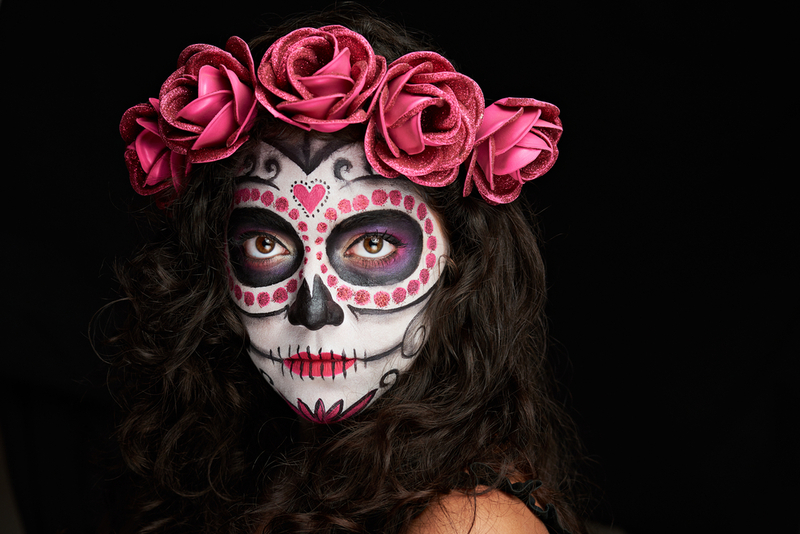 This is the perfect match for all the glam and gore divas who can’t resist a pretty pink even on Halloween. For those who aren’t afraid of a little unkempt facial hair and some graphic bruises. This is your chance to explore your primitive side. 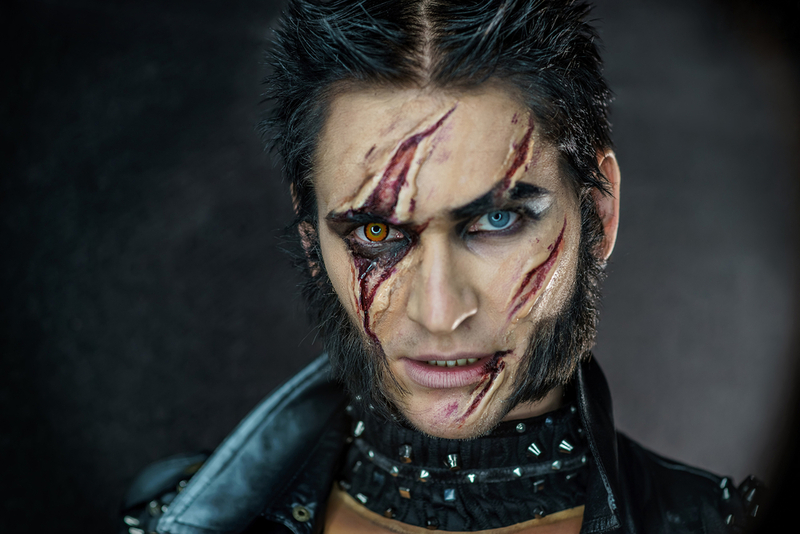 Spruce up this werewolf look with some studded chokers, boots and biker gloves. 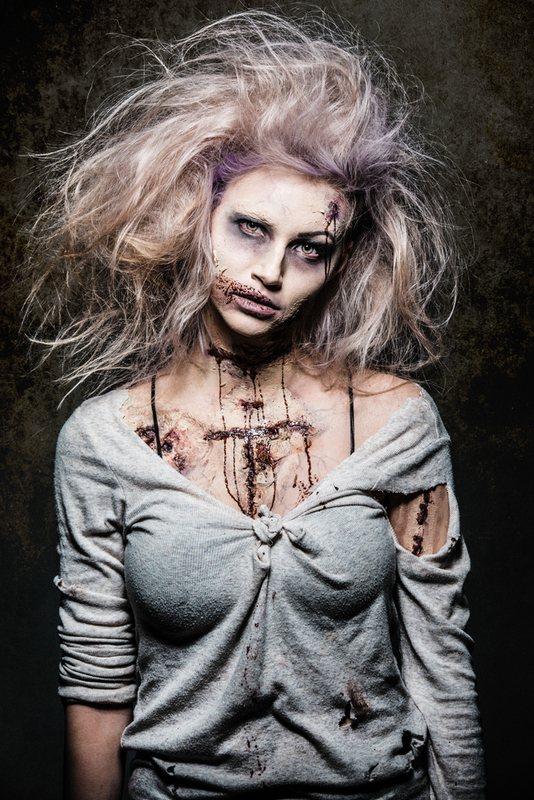 Smokey eyes, winged liner and crimson lips are enough to portray a spine-chilling vampire. If you want to exaggerate the look don’t hold back on dusting glitter over all the bare parts of your body. Last but not least, a simple one for the easy going. This look is relatively simple but requires steady hands for a polished finish look. All you need is a precise tip eyeliner pen and some rhinestones to suit your fancy. Pair it up with a flowy dress and you are ready to rock the ball! 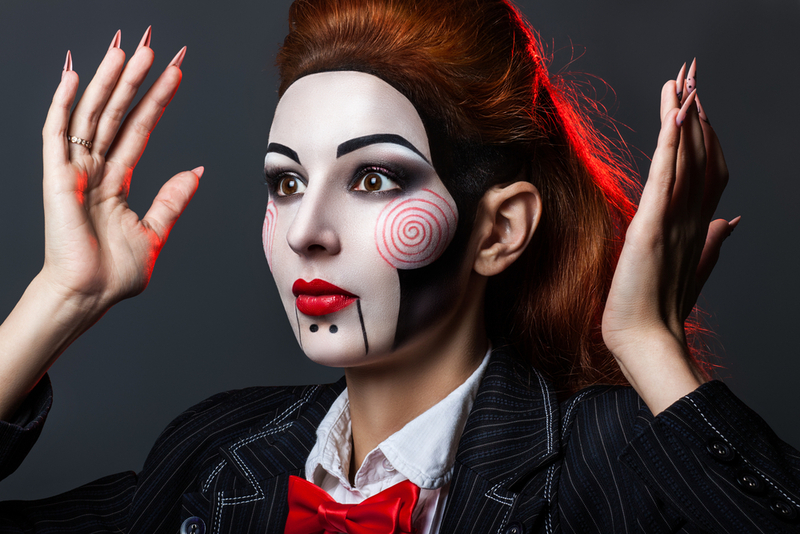 Shop for everything you need to make this Halloween a memorable one via dubli.com now.